Oase Biotec Screenmatic 2 is a follow on from one of the most advanced and well sold filters in the Oase Biotec family. The ScreenMatic 2 filter is a combination of all the well known features of its predecessor as well as enhanced benefits that have been introduced to make this filter more efficient and easier to operate then ever before. 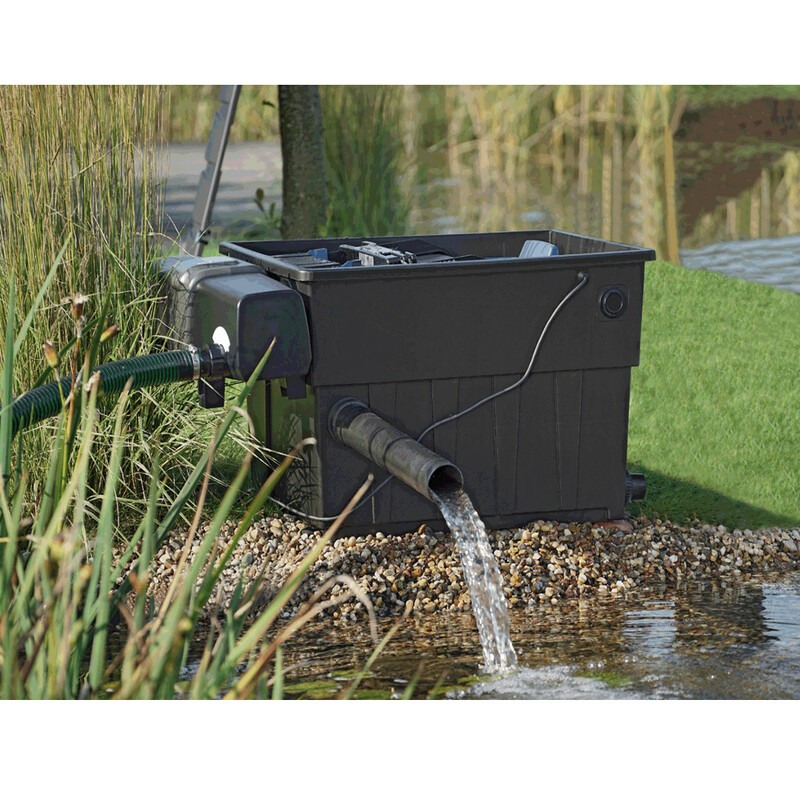 The Screenmatic uses advanced technology to ensure a simple and safe way of removing waste from the pond and producing clear and healthy water. As the water is passed through the filter, the solids and waste are extracted as the water passes over the constantly moving conveyor belt. The results are passed to a conveniently placed large collection basket that can be easily removed for cleaning and disposal. A special cleaning sensor controls the belt functions depending on the dirt levels on the belt, making the belt work harder for more polluted ponds. An LCD screen on the filter advises when cleaning of the belt is needed by way of a light system. The partly cleaned water is then passed to the 18 different filter foams in the base of the filter for the final stage of cleaning before it is returned to the pond. 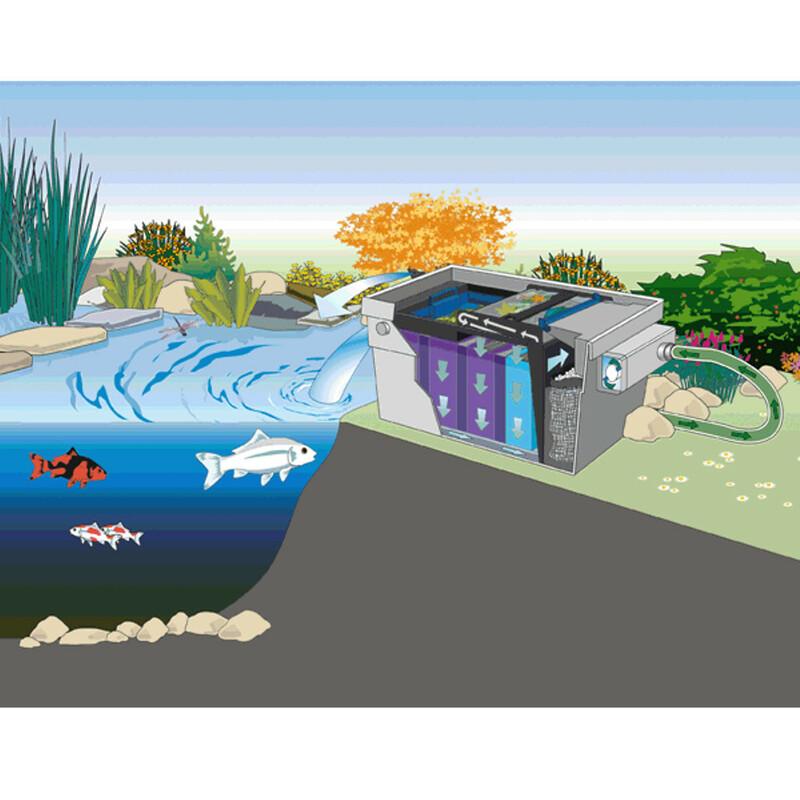 The new Screenmatic filters have an array of features that make keeping a pond easier then ever before. 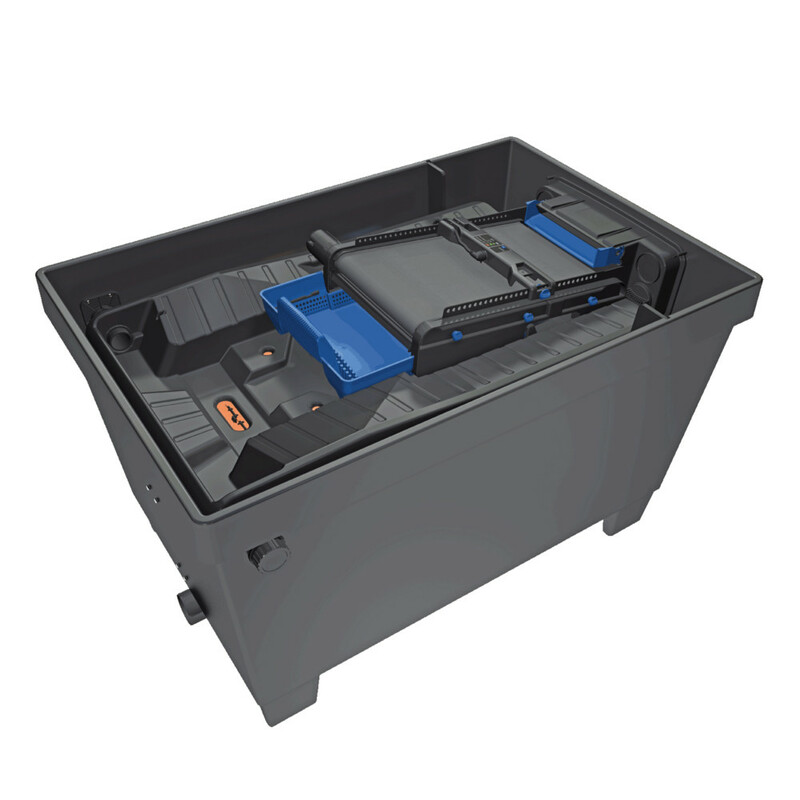 The lid of the filter has storm proof clips that ensure the lid remains safe in even the toughest of weather. 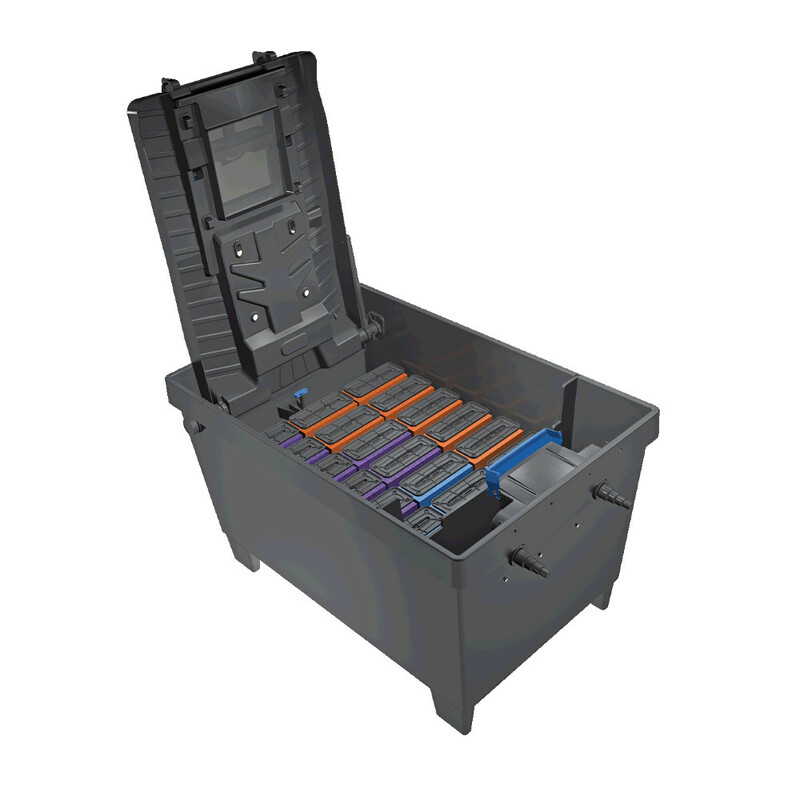 The clips have been made to be tough but also made with ease of use in mind with their simple click in place action. 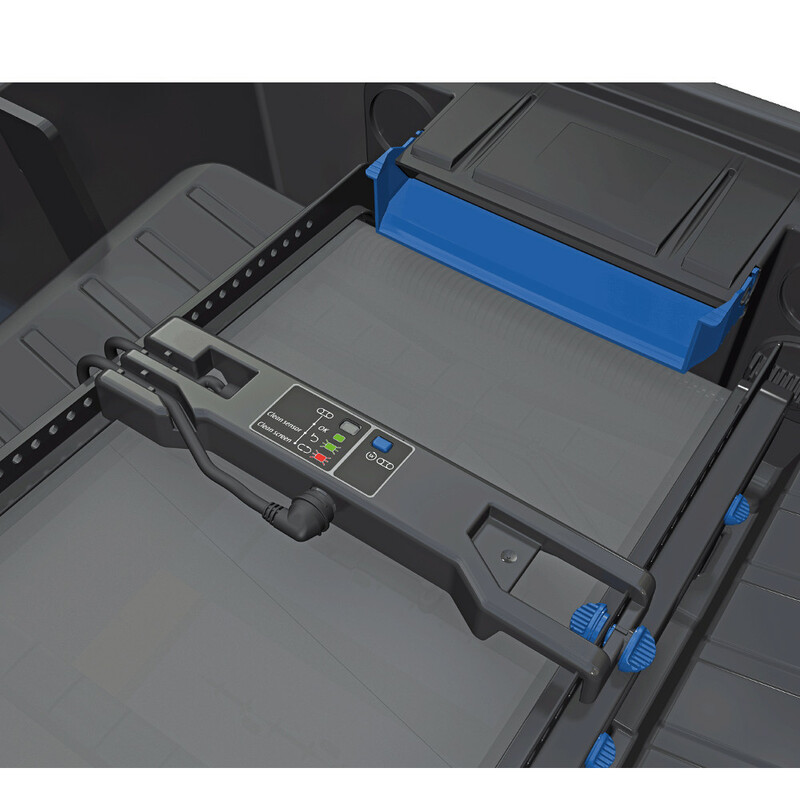 Cleaning of the belt and foams is also simple by way of the LCD monitor that indicates cleaning is needed and a unique foam cleaning system that uses handle pressure to squeeze the water and muck out of the foams. Inlet Hosetails : 1" - 2"